Duct Tape Entertainment's, very own Big Bank is ready to take 2017 by storm. He is actively spending his time in the studio and working on various projects, you will be seeing a new single and video titled "25Squares" featuring Future very soon. 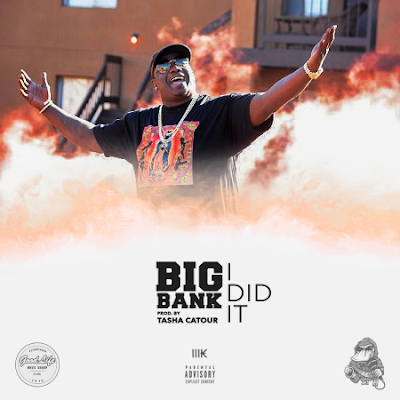 In the meantime, Big Bank could not wait any longer to drop his latest record "I Did It", produced by Tasha Catour. This record is a melodic trap record with a powerful statement "I Did It". If you are anything like most people, you have heard people some even close to you say you could not do something and what is the best thing that could ever happen, that is right, you prove them all wrong! Big Bank wants everyone to know that regardless of how anyone feels, he can proudly boast "I Did It".